Wilson also shared valuable dating tips that she picked up from books on tape. 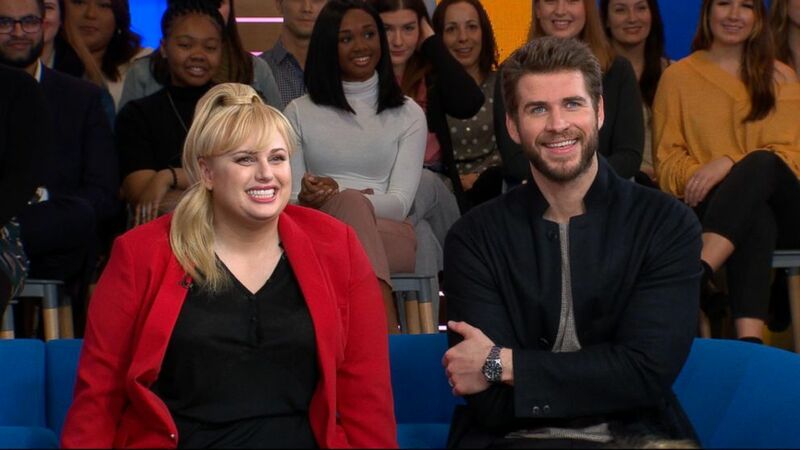 Rebel Wilson and Liam Hemsworth are co-starring in the new rom-com, "Isn't It Romantic." Hemsworth recently wed longtime love Miley Cyrus in an intimate affair. (Michael Parmelee/Warner Bros.) A scene from "Isn't it Romantic." "It was a really special day," Hemsworth told "GMA." Although it's Hemsworth and Cyrus' first Valentine's Day as a married couple, Hemsworth confirmed that Cyrus extended the invite for Wilson to crash their date. This is something everyone's going to want to see. She posted four pics, including them kissing. The singer slammed reports she was expecting with her husband. "I think she should've asked Liam before," Wilson said, laughing. "If I get desperate, great option." Hemworth chimed in, "I'm all for it. Absolutely." Wilson, who is single, said she's been picking up dating tips from books on tape. She even shared some valuable advice with "GMA" viewers who may be looking for love. "Because I'm quite a strong, independent woman, it's good sometimes to give the guy something to do," Wilson said. "I might say, 'Would you mind holding my jacket?' And then you'll say, 'Sure' because you're an awesome guy." She went on, "You doing me a small favor weirdly makes you closer to me, psychologically. So girls, get the guy to hold your handbag, hold your jacket, just do a small favor for you." "Isn't It Romantic" hits theaters Feb. 13.